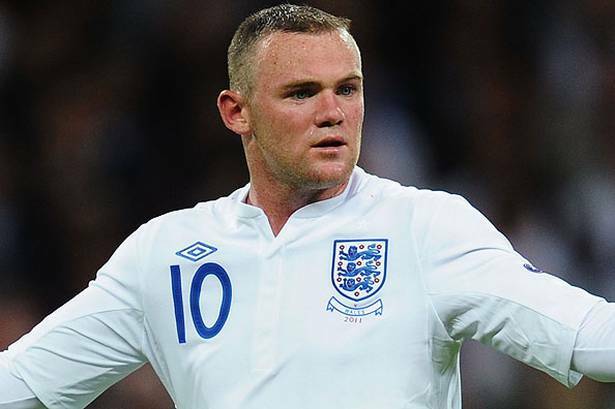 The Football Front's Christian Brown gives view on why England dont actually need Wayne Rooney. If you were to say to most people following the Euros, ‘who would you hinge England’s hopes on?’ there is a very strong chance that the reply would be ‘Wayne Rooney’. I beg to differ. As controversial as it possibly sounds, I don’t even think Rooney should be there full stop, and there are several reasons to suggest this as well. Let’s start with the basics. His job, as a centre forward, is to score goals – correct? For Manchester United this is seemingly no problem at all. He finished the 2011/12 season with 27 league goals, which is a very impressive tally, regardless of which team you play for. For the national team however, his last goal was against Bulgaria in September 2011. That was some 10 months ago. For someone whose job it is to stick the ball in the back of the net, that is frankly appalling – especially for a striker who scores for fun for his club and receives 250 grand a week for his troubles. Then there are his performances in the white shirt of England. Well, I use the term ‘performances’ very loosely. Watching Wayne Rooney play for England is like watching a seven year old who hasn’t yet learnt his positional sense. The seven year old can get away with it, as he is after all, only seven. Rooney’s 26. I’ve never seen such brainless running from any international player, ever. For some reason, he feels the need to be everywhere – including the left wing, right back and centre midfield. This is despite the fact his job is to be up front feeding off the service he will receive. It causes numerous problems for the rest of the team, as suddenly when there is a chance to counter, Rooney’s beside the ball in his own half as opposed to being on the centre back’s shoulder and the attack swiftly breaks down. It also allows him to get angry, which is stupid given the high profile errors he’s made due to a lack of temperament. One low key example was against Montenegro at Wembley. Rooney inexplicably ‘tracked back’ 50 yards before clattering a Montenegrin from behind – and received a yellow card for his ‘team game’. Say what you like about ‘oh it’s passion for the team’ or ‘oh it’s part of his game’ – no, it’s neither. It’s pathetic and stupid. It makes him a liability, and makes him suspect to do something ridiculous and get a card for it. Such as his most recent incident wearing the Three Lions, in which he booted Montenegrin defender Miodrag Dzudovic from behind in an apparent attempt to send him into orbit. Do that on the street and you’re looking at about 3 years in prison for assault. There’s also the other red card incident which people seem only too happy to forget about, the 2006 World Cup quarter final against Portugal. You know the one, the game where he attempted to circumcise Ricardo Carvalho. A sending off which cost England massively, had they gone to extra time with 11 men there may not have even been the need to have a penalty shootout. But no, it’s all alright because it’s just passion and part of his game, isn’t it? Playing for Manchester United, he should know full well no-one remembers quarter finalists, only winners – and he put an end to any chances of us winning. The Dzudvic incident showed how much of a farce UEFA are, as they decided to reduce his ban. Why they didn’t extend it is beyond me, and just about everyone else in the footballing world. They basically said assaulting someone is acceptable. What was even more of a farce is that Roy Hodgson still decided to take a player who may only play one game. England are in a very difficult group, and could well be booking flights to Gatwick by the time he is eligible to play – yet he goes anyway? Why? What if Welbeck does well? Say he gets three goals in two games, and then all of a sudden he’s dropped for Rooney, and then like usual Rooney underperforms. How is that going to create a positive vibe in the England camp? The strikers know that no matter how well they do, after two games they’re effectively redundant. Just because Rooney is allegedly the third most paid player in the world? Or because he plays for Manchester United? Or because he was good at a tournament for England, EIGHT years ago? That gives him the right to be an automatic starter? No. The whole thing is a running joke, and if England do manage to get through to the latter stages, they will shortly be going out as there is no doubt that Rooney will be tricked into unleashing his ‘passion’, make a stupid tackle and then watch his team capitulate with 10 men. But it’s alright, because it’s all for the game, isn’t it? He’s a shadow of what he was in Euro 2004, and should be watching the football on a hot beach somewhere – not in the England camp with a chance to play. This piece was written by Christian Brown, you can follow him on his Twitter - @Chris78901, Chris also writes for The Sports Pallet too. All of Chris' work is on his blog, 1-chris78901.